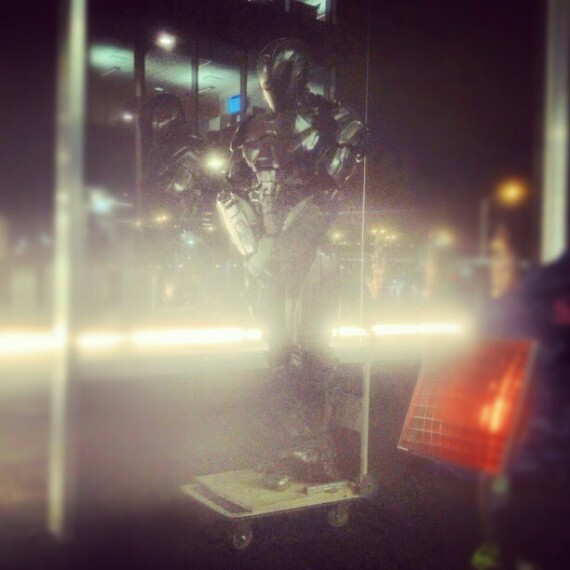 RoboCop. A movie produced around 1987 about a cop who died and was kinda put back together Dr. Frankenstein's Monster Style using robotic pieces. The original was not bad but the action seemed a little slow paced. There was a scene where he walks into a drug lords operating plant and shoots up everybody, and it seemed like he was going for a stroll in the park. 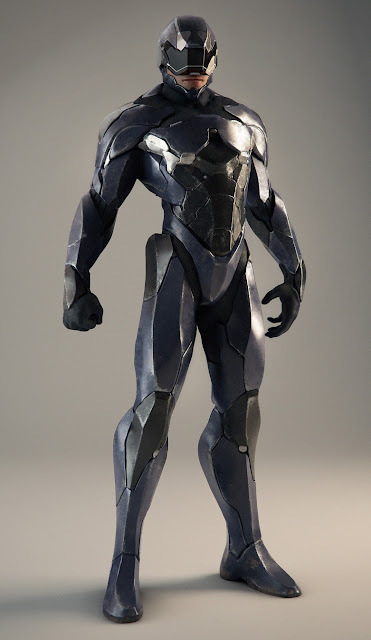 Well now RoboCop is getting second chance to wow a new generation on the big screen come 2014. The film will star The Killing's Joel Kinnaman in the lead role of Alex Murphy/RoboCop, Gary Oldman (The Dark Knight Rises) as Dr. Robert Norton the man who created RoboCop, and Michael Keaton (Tim Burton's Batman) as the films villain Raymond Sellars who is the CEO of OmniCorp. The film as includes a strong supporting cast such as Samuel L. Jackson, Jay Burachel, Abbie Cornish, and Jackie Earl Haley. The film is directed by Jose Padilha, famous for his work on the Elite Squad series which ironically also focus's on police officers. 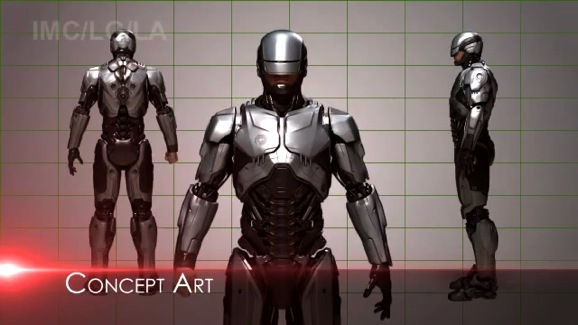 But now in 2012 we have learned that not only is RoboCop being remade, but the concept art behind it looks beautiful. Rumor has it that the new RoboCop remake will feature four suits. So far the suit we see in action mostly is the new all black suit. 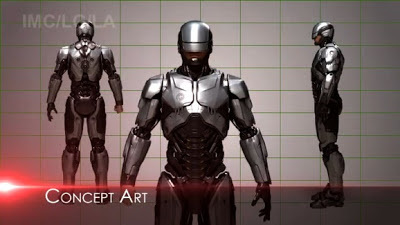 A recent leaked sizzle reel for the film which included lots of concept art has shown the first suit Murphy uses as RoboCop in the film which is very reminiscent of the one in the original. Two other suits have also been leaked, one that is a silver combat suit, and the other a Transformer like suit that can transform itself. Did I also mention that RoboCop will be getting a set of RoboWheels. 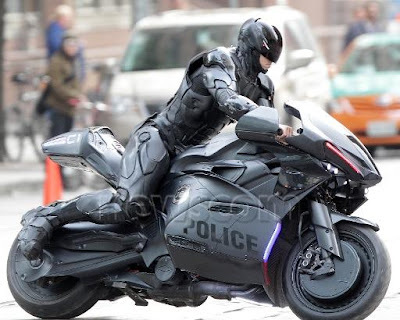 In the new RoboCop remake, Alex Murphy (RoboCop's real name) will be riding on a custom police motorcycle which looks sick based upon photos released online. 1.The movie comes out too much like Terminator/ Iron Man and people begin to loose interest in the main storyline and just want to see RoboCop shoot people and ride his bike. 2. RoboCop starts acting like RoboCop from the 80's where he walks all stiff like and acts like a toy robot instead of a one man army. 3.They give him a dumb villain, someone who nobody cares about, one of those people who's main plan is to take over the city/ get rich quick blah blah blah. Been there, done that, we want something new. Look what happened to Judge Dredd, ended up like Judge Judy because it followed an over used storyline. My expectations are actually pretty high for the upcoming RoboCop film, hopefully they want mess it up, kind of like they do with other old movies the revive , but nobody goes out to see it because you already know what's going to happen. But with the right storyline, awesome action sequences, an explosion here and there, RoboCop may be able to come out with another two movies (at max). 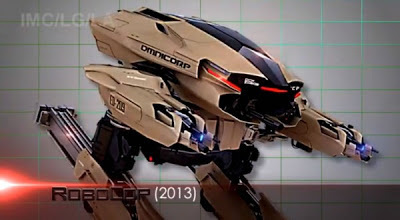 RoboCop is set to hit theaters February 7, 2014. 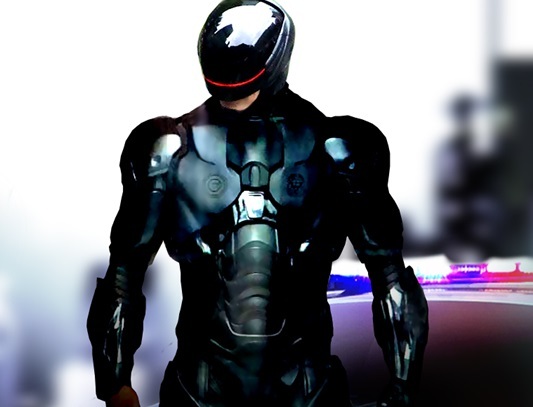 What would you like to see from the new RoboCop film?